Buying Real Estate in Riverside and San Bernardino Counties. One of my specialties is representing the best interests of Riverside area buyers throughout the home buying process. My comprehensive, high-quality services can save you time and money, as well as make the experience more enjoyable and less stressful. If you're like most people, buying a home is the biggest investment you will ever make. So whether you're buying a starter home, your dream home or an investment property, why not take advantage of my experience as a local market expert for Riverside, Moreno Valley, Corona, Anaheim Hills to make the most informed decisions you can, every step of the way? Learn how to avoid 7 costly mistakes buyers make Learn more. What are your non-negotiables? What location do you desire? What educational opportunities are important? What do you want your daily commute to be? And what price are you willing to pay? This will narrow down your scope so you are not looking at hundreds of homes, just the ones that fit in your criteria. Looking in an area that’s not going to provide the home type that you want is going to cause frustration. 2. Get per-approved for a mortgage. Valuable info on financing comparisons, click to see. Avoid delays once you do find a home by getting your loan per-approved. “If there is any issue, it is identified early on in the process and not the moment that you’re trying to submit a contract on the property,” says Schofield. Also, you’ll know your numbers and how much to expect on a monthly payment to make sure you’re house-shopping within your price range. Share with your real estate agent the biggest stresses and fears you have in the home-buying process. “The more open the client is with the agent, the less drama is going to present itself in the transaction,” says Schofield. “You have to trust your agent and relate to them as a confidant, as an ally.” Learn more. How much does renting really cost you? “Believe me, procrastination causes drama,” Schofield says. For home buyers on a deadline, Schofield recommends beginning four to six months ahead of time to start learning more about the market. Plus, with mortgage rates forecast-ed to move higher this year, buyers who wait too long may find what they can afford lessen. “Have the right expectations, or else you’re setting yourself up for frustration,” Schofield says. Compare the rent versus purchase optionLearn more. Quick InfoMercial for buyers. Informative and fun. Mobile MLS Program, courtesy of Jerry A Cook, Just scan QR code to access! 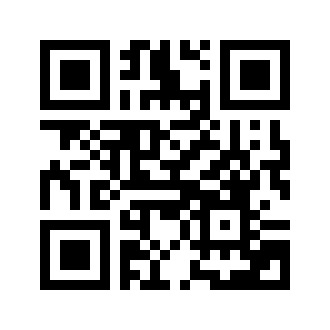 Scan me with your QR code scanner. Then search the mls from your car, office or home. No computer needed! Save your search and interesting homes, everywhere! RENTERS this video is for you! Success in home buying with a 25 year professional in corona homes, Jurupa Valley Homes, Riverside City Homes, Moreno Valley Homes, Perris City Homes, Hemet/San Jacinto Homes and parts of Orange County and Los angeles, plus high desert areas of SoCal. Access Realtor.com for Info on Jerry A Cook. 2674 Bonita Heights, Rancho Belago Closed Escrow!